According to United Nations Environment (UNEP) and the World Meteorological Organisation (WMO), acting on black carbon and methane in key sectors could reduce projected global warming by 0.5°C by 2050, avoid millions of premature deaths from air pollution annually, prevent millions of tonnes of annual crop losses, and increase energy efficiency, all while providing a number of additional benefits for human wellbeing. Additionally, fast action under the Montreal Protocol can limit the growth of hydrofluorocarbons (HFCs) and avoid up to 0.5°C of warming by 2100. 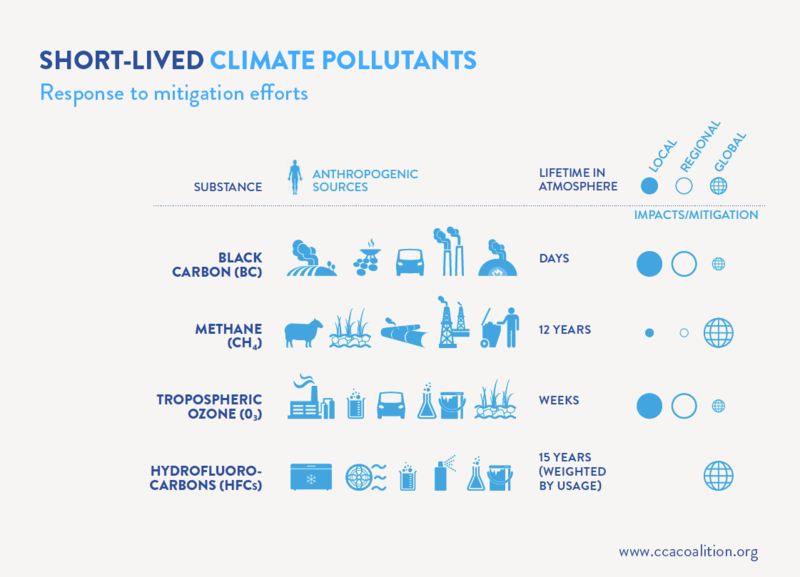 A UNEP-WMO assessment has outlined 16 short-lived climate pollutant control measures to reduce methane and black carbon that, if implemented at a global scale, will deliver significant results for near-term climate change as well as air quality, public health, and food security. These measures involve technologies and practices that are readily available and that, in many cases, can be implemented at little cost. A dedicated Scientific Advisory Panel keeps the Coalition abreast of scientific developments and informs policy discussions. The panel is composed of eminent scientists representing diverse regions and relevant scientific disciplines. Ashlinn K. Quinn et al.